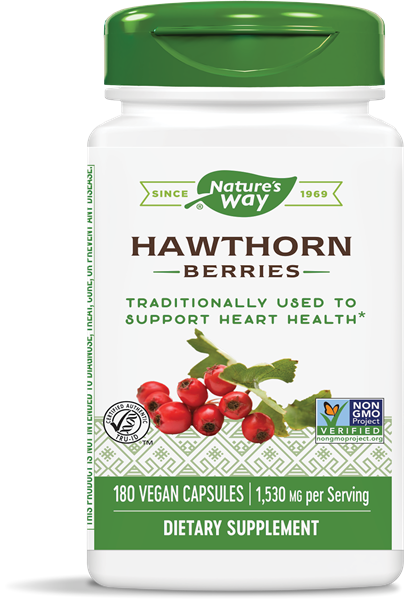 Hawthorn Berries / 180 Vcaps - Nature's Way®. Take 3 capsules three times daily, preferably with food. Best results obtained with continuous use. If pregnant, nursing, or taking any medications, consult a healthcare professional before use. Used for well-being and as a cardiovascular health.